Want to convert pictures to tile design, bead design or stitches? Here you have Image2Pattern. 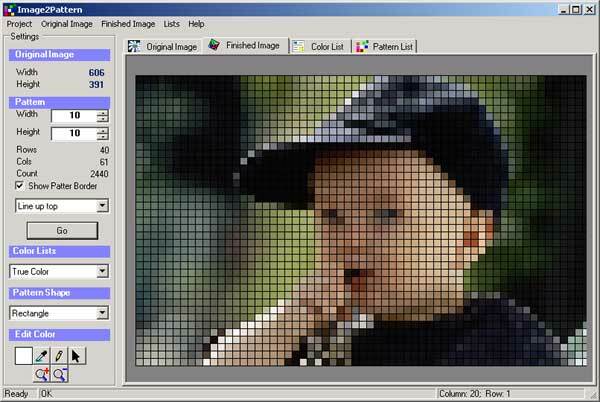 - Convert any image to tiles, bead, and stitches design. - Create yourself endless fun and interesting bead and tile projects. - One step process, from image to shopping list. - Works for tiles, bead, stitches... and just about anything else. - Build your own design library.